Notice two things in the search results (screenshot). 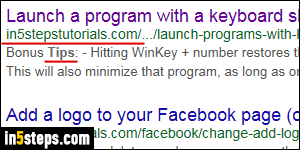 First, only pages from a certain site you specified are shown as result. Second, like normal searches, Google highlights in bold letters the matches found in the page, in their context. 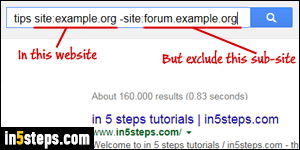 - You can only search one domain at a time, but multiple subdomain exclusions are ok (e.g., no results from reviews.example.org AND forum.example.org). 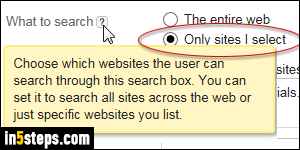 - Whenever you see a Google search box in a website, it typically performs a site-restricted search behind-the-scenes. 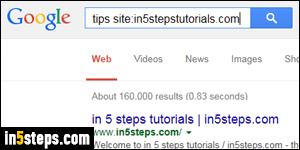 That's why you only see results from that particular site. That's something site owners set up when adding the box. 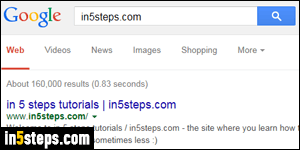 - Yahoo and Bing web searches also support the "site:" operator.